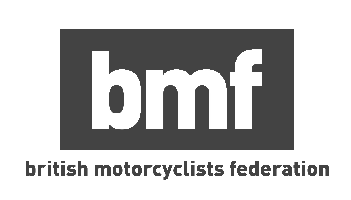 Taking your CBT Training in Greenwich is the first step to getting out onto the roads of London on two wheels and beating the traffic, and we have a number of CBT training schools located near Greenwich that can get you out on the road. Our closest school is currently LMRT, who are based in Lewisham. They’re a long established school with friendly and knowledgeable staff, and the local roads are quiet - perfect for new riders. Further to the south, Phoenix Motorcycle Training in Crystal Palace are a long established school who offer a large choice of bikes to train on. Phoenix also supply jackets, boots, helmets and gloves to all students. Phoenix are the UK's first MCIAC Gold Standard School, which means they provide the very best training in the UK. BLT Motorcycle training are based in Thamesmead. The staff at BLT are passionate about motorcycling, and this comes across in the friendly and patient manner of the instructors. There are also CBT schools located in Orpington and Croydon. What do I need for my CBT Training in Greenwich? The CBT isn’t a Test, so it’s easy to prepare beforehand. The most important thing is that you hold a valid British Passport, or have been a UK resident for more than 185 days. You also need to ensure you have a valid provisional licence and be at least 16 years of age. You don’t need any prior motorcycle experience. You also don’t need to worry about buying protective equipment, the training school will provide you with most items, including a motorcycle or scooter to complete your training. If you’re unsure what the school will provide you, get in touch before your CBT. It’s essential to wear sturdy trousers - such as jeans - and strong boots that cover your ankles. Check the weather the night before, too. If it’s going to be cold you’ll definitely want to take some extra layers to fight of that wind chill, or some waterproof outer layers might be needed. It won’t hurt to brush up on your knowledge of the highway code beforehand, as the instructor will test you on this. Upon completion of your CBT you will receive a CBT Pass certificate, which will remain valid for two years. If you want to continue riding after those two years you will have to retake your CBT or take your full motorcycle licence training.